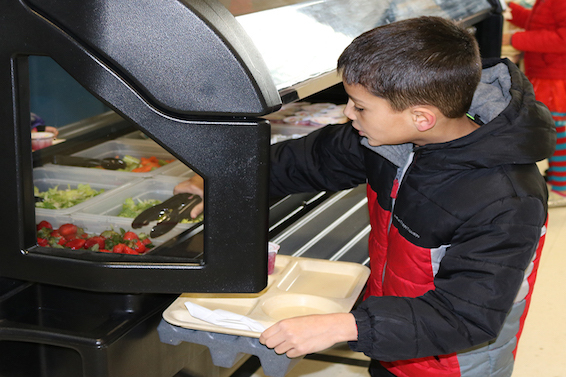 When Kayla Leu joined Iowa’s Bettendorf Community School District as Director of Nutrition Services, there were already existing salad bars* in the district’s middle and high schools. She quickly set out to provide the same resource for the district’s elementary schools as well. By 2017 she had made great progress, receiving four salad bars from Salad Bar to Schools and successfully incorporating them into the district’s meal program. *The Salad Bars 2 Schools grants in Bettendorf Community School District were made possible by donations from Warden Hutterian Brethren and Potatoes USA.